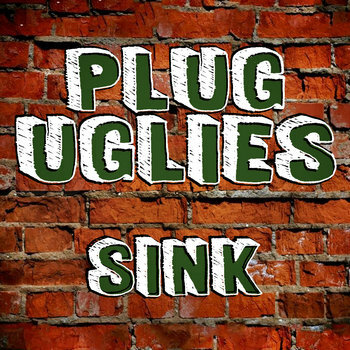 The Plug Uglies formed out of the ashes of Bernie's Fixxx, one of the best unsung NJ punk bands from the 90's, after the untimely death of Bernie's singer/guitarist Jeff Zuzeck in 1995. Initially they were just as raucous as Bernie's, playing fast, aggressive punk, and their first demo reflected that with songs like "Stray Bullets" (which also appeared on the 'Anarchy In The N.J. Compilation Vol 1' put out by Umbilical Records in 97). As they played, they refined their sound and added more pop and straight rock elements, and eventually went in to Big Blue Meenie in Hackensack and recorded a 6 song EP with Jerry Jones of The Fiendz engineering, but the band broke up shortly after and the EP got shelved. Until now. Thankfully for recent online correspondence between old friends and bandmates, the songs were unearthed, and we are excited to present them to you now for the very first time, as a free download/stream. For those who were around back then, we hope these songs bring you back a bit, as they do for us, and for those who weren't, we hope you enjoy hearing them for the first time. It's 1997 all over again...here's to feeling good, all the time!